This class is for those of you who know the basics of pruning but would like to learn more about how to prune specific types of plants and learn specific pruning techniques. 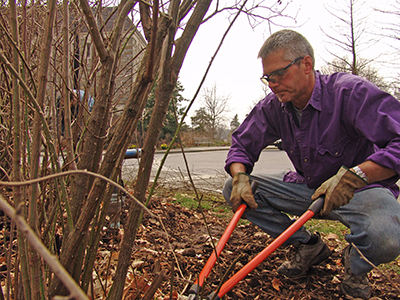 The morning will start with Scott Arboretum Garden Supervisor Adam Glas who will cover roses, clematis, other vines, and cutback shrubs, as well as how to espalier and pollard. After lunch, Scott Arboretum Gardener Dwight Darkow will cover hydrangeas, conifers, and structural pruning of young trees. We will have a 45-minute break for lunch; please bring your own (morning snacks will be provided). Dress for the weather—the entire class will be spent outside walking to specific plants throughout the campus. Limit 25.